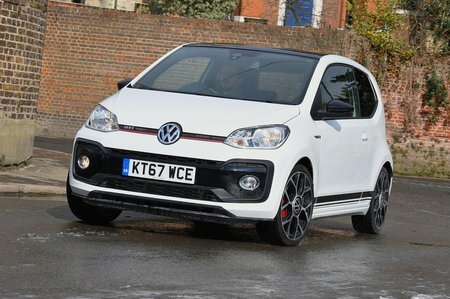 Volkswagen Up Up GTi Review and Deals 2019 | What Car? There are some who will try to claim that the Volkswagen Up GTI is ‘the spiritual successor to the original Mk1 Golf GTI’. Is it really, though? We’re not so sure. For a start, the Up is a city car, while the Golf, of course, isn’t. And this might sound like pedantry, but how can a car with a 1.6-litre naturally aspirated four-cylinder petrol engine, such as the original Golf GTI, feel the same spiritually as the Up GTI, with its teeny-tiny 999cc three-cylinder turbocharged petrol? “Ah, but it’s light,” they’ll holler. Well, yes, at 1070kg (including the driver) the Up is certainly a featherweight by modern standards. And that’s a fabulous thing; it will be light on its wheels and should be a hoot to drive. But that’s still way heavier than the Golf – which, at 810kg, was lighter than a helium-filled balloon on the moon. And let’s not forget the killer detail that’s missing here. 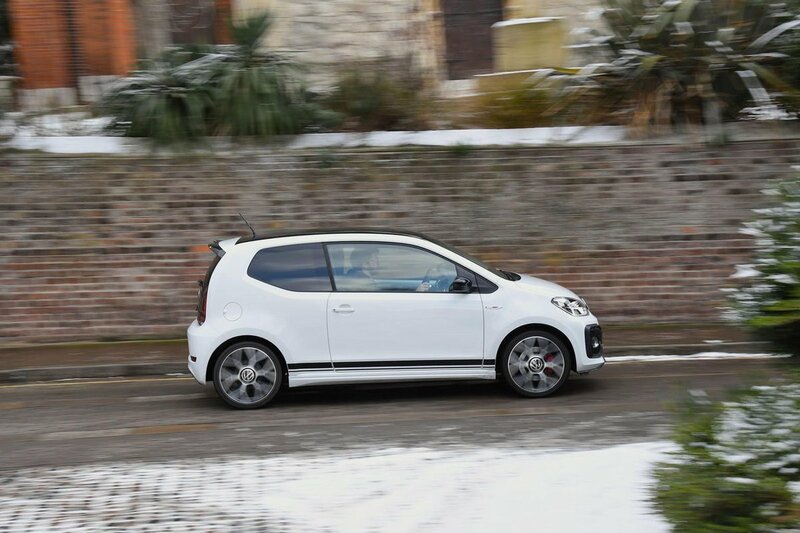 Unlike the Golf GTI, the Up GTI hasn’t got a golf ball gearknob, so immediately loses a fistful of ‘cool’ points. So, we’re not going to talk ethereally about how the Up GTI compares with a car from 1976. What’s the point of that? Instead, we’re going to tell you the facts: is it a better hot hatch than an Abarth 595, Smart Forfour Brabus or Renault Twingo GT?